U.S. stocks fell to their lowest levels since mid-August on Wednesday, as the Dow Jones Industrial Average lost 235 points, or 1.4%, the S&P 500 lost 27 points, or 1.4%, and the Nasdaq Composite Index lost 77 points, or 1.7%. Gold futures gained 0.3% to $1,214.60 an ounce. Stocks began to decline later in the day after data on U.S. manufacturing and construction spending did not meet economists’ expectations. In response to the dip, traders stated that fund managers and institutions sold their riskier investments like stocks and sought out safety in U.S. government bonds. These investors had originally been optimistic about stocks for the remainder of 2014, but weak economic data coming from the U.S. and Europe changed their sentiment. Riskier shares in technology, biotechnology, and small business were hit the hardest, as well as social media company shares. U.S. stocks took a tumble last week as well, causing some experts to warn that the bull market is exhausted and we may be in for a correction (loss of 10% or more). As we pointed out back in July, stocks have been given a boost by market hype, the Fed’s “quantitative easing (QE)” stimulus plan, and low interest rates. These policies and bullish sentiments have channeled money into stocks as investors chase trends and high dividends. 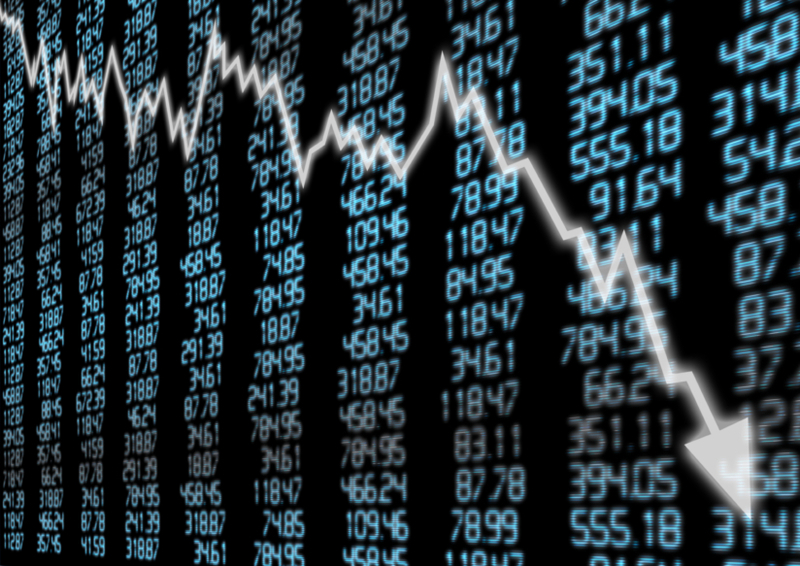 However, when the market takes a downturn like the one seen here, many investors then seek the safety of longer-term investments such as bonds or physical precious metals like gold. The investing phrase “don’t put all your eggs in one basket” speaks to the importance of diversifying your portfolio. When stocks take a tumble, non-paper assets such as physical gold can act as your hedge or safe haven. If you would like to diversify your retirement portfolio by adding physical gold or other precious metals, call American Bullion today at 1-800-326-9598 and ask about opening a Gold IRA.